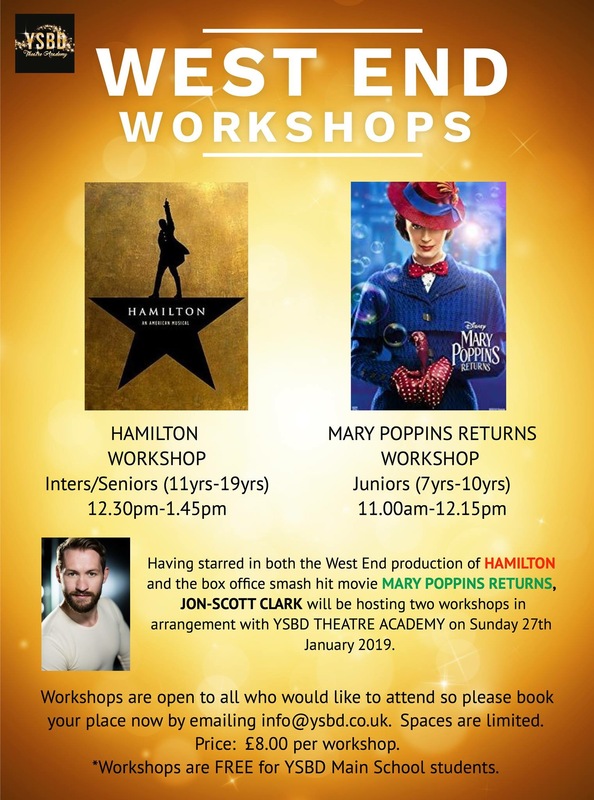 We are absolutely thrilled to announce that after having starred in both the West End production of HAMILTON and the box office smash hit movie MARY POPPINS RETURNS, JON-SCOTT CLARK will be hosting two workshops at YSBD THEATRE ACADEMY on Sunday 27th January 2019. Workshops are open to all who would like to attend so please book your place now by emailing info@ysbd.co.uk. 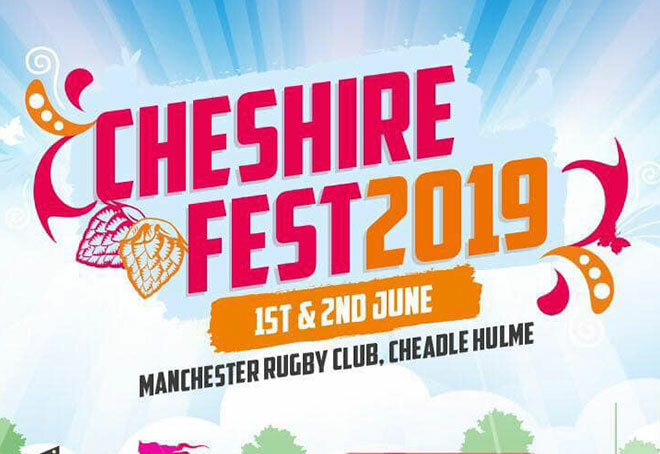 Spaces are limited and £8.00 per workshop. 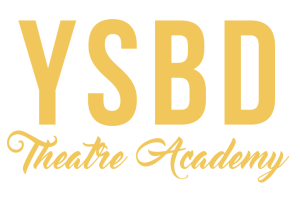 *Workshops are FREE for YSBD Main School students and you do not need to book as the workshops take place during Main School sessions. Jon-Scott trained at Laine Theatre Arts alongside Company Director’s Amy and Hannah. 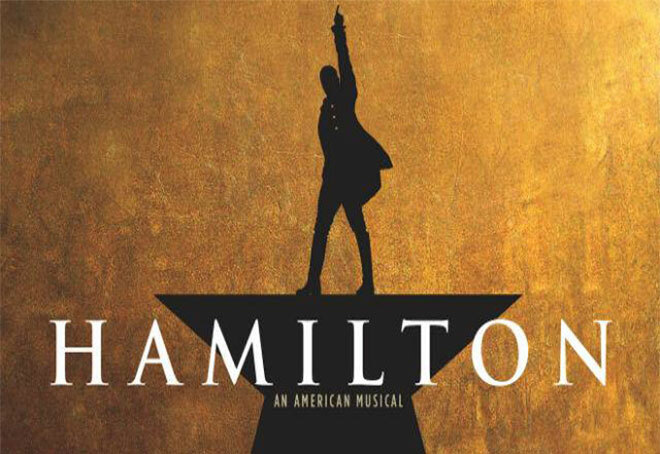 His theatre credits include: Swing in the Original Cast of Hamilton; An American musical at the Victoria Palace Theatre. 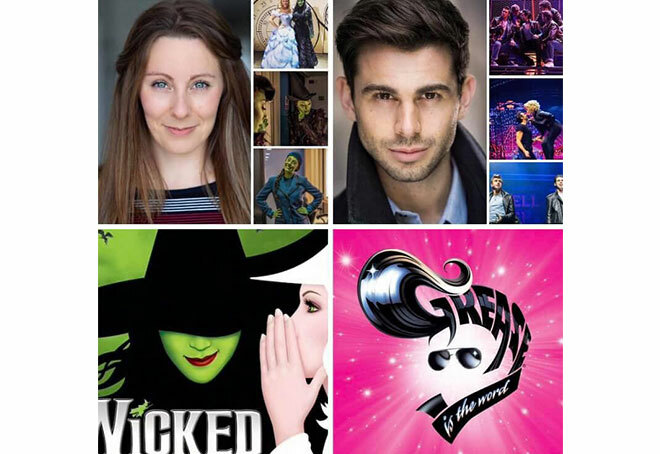 Assistant Choreoagrapher/Director and Dance Captain on Peter Pan Pantomime (Theatre Royal Nottingham) for Qdos. Directed ‘The Wind In The Willows’ and played Macbeth in ‘A Night at the B’ard’ for Momentum Theatre Company. Action in WestSide Story at Salzburg Festival and Whitsun Festival. Bill Bailey/1st Mungojerrie/2nd Skimbleshanks in Cats the Musical (Blackpool Winter Gardens/London Palladium). Ensemble/Acro Swing in the WestEnd revival of Miss Saigon (Prince Edward Theatre). Swing in Barnum the Musical (Chichester Festival Theatre). Peter Pan in Shrek – The Musical (Theatre Royal Drury Lane). Mamma Mia International Tour Ensemble/1st Pepper. TV/Film: Sonny Bono in Cher Biopic ITV (2019). Disney’s ‘Mary Poppins Returns’ (2018) – Leerie Dancer. Good Samaritan – Alex (Lead) – Short Film by Jellyfielders Studios. Disney’s Cinderella Movie (2015) – Ballroom Dancer. Google Apps advert – Boyfriend. Concerts/Cabarets: The West End and Beyond (Dubai). An Evening With Val Doonican & Friends. An Evening of Laughter With Ken Dodd& Friends. Tribute to Danny la Rue (London Palladium). We cannot wait for Jon-Scott to work with our students and welcome him to YSBD! The absolute summer dream team!